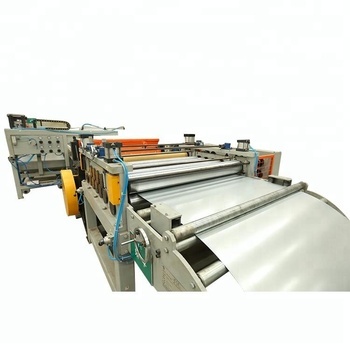 5-roll flattening machine re-flattens steel sheets. The clearances of the upper and down flattening rolls can be regulated by the upper hand-wheel through worm wheel and worm. The power for the flattening machine gets from the gearbox with the connection of universal coupling and the sizing unit shares the common power. 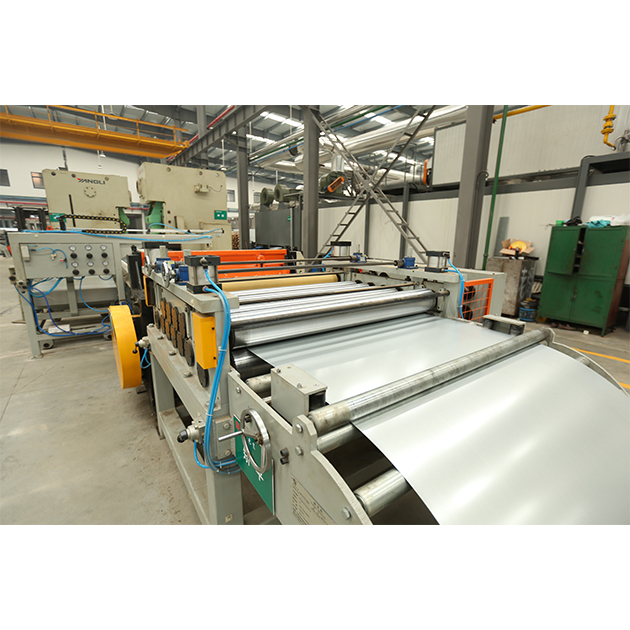 Withholding cramp, sizing roll feeds steel sheets accurately as per the length designed, which is driven directly by AC servo motor.